Prickly Pear Festival 2017 – Fun for Everyone! 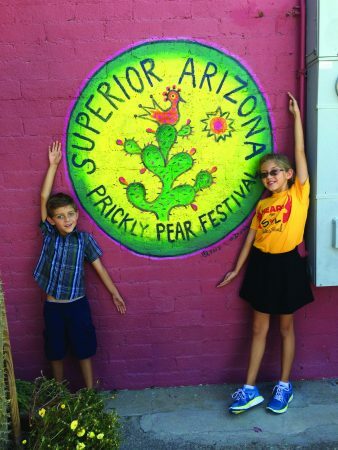 Superior is quickly becoming famous for this unique event celebrating the Prickly Pear cactus. The Superior Chamber of Commerce is proud to once again host the 6th Annual Prickly Pear festival. This one day event kicks off with a Pancake Breakfast hosted by the VFW. They will have Prickly Pear syrup to top off your pancakes and great breakfast sides! The breakfast is offered for a donation and all proceeds will benefit the VFW Post in Superior. After a hearty breakfast, make your way over to Town Hall located at 199 Lobb Ave. to check out the Prickly Pear Marketplace. Many vendors have signed up and will be bringing everything from Prickly Pear art, food products and many other health and wellness services. A majority of the local restaurants and merchants are also hosting special Prickly Pear menu item and sales, make sure to check out all the shops in Town as well to see what treasures you can find. The Town Council Chambers will host many speakers as well as the second annual Prickly Pear Pageant. The Pageant will begin at 10 a.m. Youth interested in participating in the pageant should contact Tina Marie at tinamarie2000@gmail.com or you can instant message her on Facebook. Potential contestants should provide their name and contact info. Additional speakers are being hosted in the Safety Miners training rooms also located at Town Hall. If you have not visited Town Hall, this is a great time to see the improvements made at the old Roosevelt school. If you are interested in learning more about sustainable living, cooking with the Prickly Pear or learning more about local mushrooms and other edible desert plants there are plenty of classes throughout the day at the Town Hall. (See schedule listed and check local postings for any changes). A mural by Charles Davison celebrating the Prickly Pear Festival. 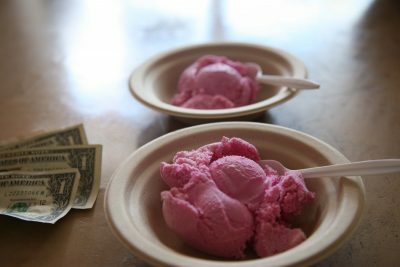 New to the program this year is the Prickly Pear Cook-Off hosted by the Copper Communities Food Hub Study. The event has several contestants that will showcase their culinary skills using the Prickly Pear. 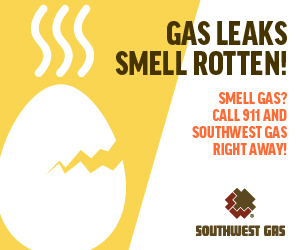 This along with other food demonstrations will be hosted at the Superior Senior Center located at 360 W. Main St.
For more information, please contact the Superior Chamber of Commerce at 520-689-0200. 7-10 a.m. Prickly Pear Breakfast: pancakes, sausage, eggs, coffee and OJ served for a donation to the VFW. 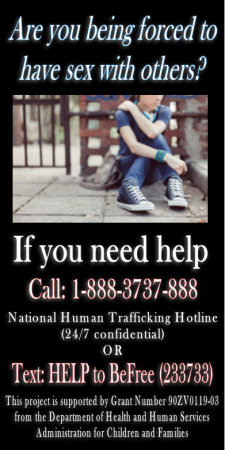 Location: VFW Hall, 405 W. Main St.
9 a.m. to 5 p.m. Vendor Marketplace with multiple vendor booths. Location: Town Hall classrooms, 199 N. Lobb Ave.
9-9:30 a.m. Leanne Taylor, health and wellness options. Location: Town Hall auditorium. 9:45-10:30 a.m. Autumn Giles, canning and dehydrated foods. Location: Senior Center, 360 W. Main St.
9:45-10:30 a.m. Peggy Sorensen, drive by medicinal plants. Location: Town Hall media center. 10 a.m. to noon Youth Pageant. Location: Town Hall Auditorium. 10:45-11:30 a.m. Brenda Olive, medicinal and edible uses of all the plants. Location: Town Hall media center. 10:45-11:30 a.m. Robert Lewis and Jean Groen, Prickly Pear harvesting, juicing and prep. Location: Senior Center. 11 a.m. to 9 p.m. Cactus Lounge. Location: Chamber of Commerce, 165 W. Main St.
11:45 a.m. to 12:30 p.m. Symbiotic Farms, fungi cultivation methods. Location: Town Hall media center. 11:45 a.m. to 1:15 p.m. Prickly Pear Cook Off, sponsored by the Copper Communities Food Hub. Location: Senior Center. 12:45-1:30 p.m. Terry Stone, the great desert bounty. Location: Town Hall auditorium. 1:30-2:30 p.m. Mike Montiel and Clint White, nutritional value of oyster mushrooms, prepping and cooking. Location: Senior Center. 1:45-2:45 p.m. Carolyn Niethammer, The Prickly Pear Cookbook. Location: Town Hall auditorium. 2:45-4:30 p.m. Garrick Schermer and Tom Peterson, demo on how to brew Prickly Pear beer. Location: Senior Center. 3-4 p.m. Jerry Temanson, Pomegranate, Prickly Pears and other local fruits harvested from around Pinal County. Location: Town Hall auditorium. 4:15-5 p.m. John Slattery, fermenting with Prickly Pear. 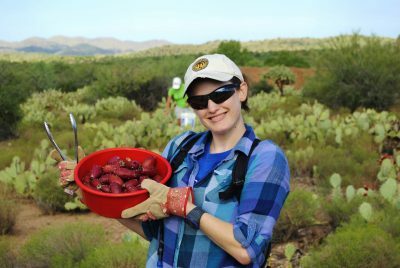 Local forager and author of various ways prickly pear juice can be fermented into delicious and health-promoting beverages. Location: Town Hall auditorium. 5-9 p.m. Drinks and Tapas by Jade Grill with live music by Trio Salado. Location: Chamber of Commerce.